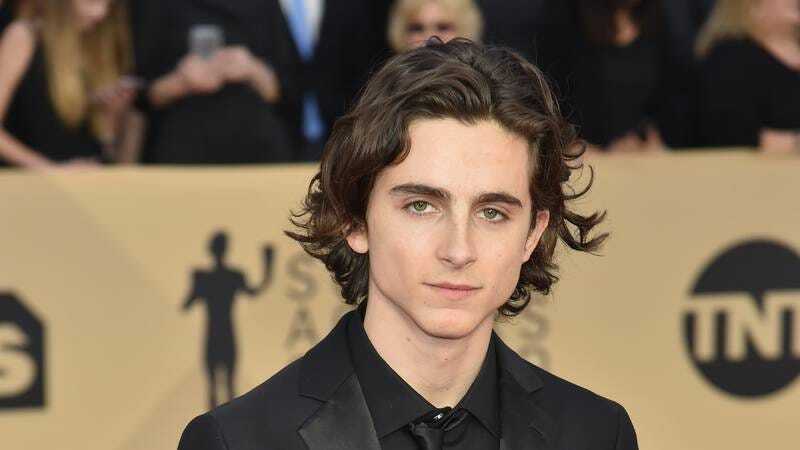 At just 22 years of age, Timothée Chalamet has already built quite the resume for himself, having appeared in two Oscar-nominated films this year, ‘Lady Bird’ and ‘Call Me By Your Name,’ and earning a Golden Globe nomination for the latter. From his days as a student at Manhattan performing-arts school LaGuardia High School, to appearing on the red carpet, the young actor sat down with us to discuss his career, his childhood, and his road to success. 1. How does it feel to be the youngest Best Actor nominee since 1939? Honestly, not great. I was hoping to become the oldest Best Actor nominee at the age of 125 for starring in You Don’t Mess With The Zohan 15: Hairdresser Academy. But this is fine too, I guess. 2. With your busy acting schedule do you ever feel like you’re missing out on a normal young adult’s life? I still try to do all the things regular people my age do. Shriek at busses, swap the signs of banks at night so people go to the wrong bank, wear special shoes that only work on train tracks, etc. In reality, I don’t feel like I’m missing out at all. 3. What inspired you to get into acting? I knew I wanted to be an actor after I saw Spider-Man: Turn Off The Dark and watched Spider-Man get dragged across the stage after his trapeze wire snapped. From that point forward, I knew that I wanted to one day nearly die while a song written by Bono and The Edge about New York being a freaky place to live played. 4. You’ve said that splitting your time between NYC and France growing up has caused you to feel ambiguous about your identity. What was that like? It was hard. Growing up, whenever I was in New York, I’d fall into my old routine of driving a taxi for a little extra dough, eating pizza two times a day, being short with people, and constantly talking about the Mets. And whenever I was in France, I’d start doing more mime work, I’d play the accordion all the time, and I’d bike over to a bakery for a baguette every morning as I indulged in a cigarette. I guess I just struggled with which one was the real me. 5. You spent a lot of your childhood in France and are pretty outspoken about your appreciation for its culture. What is it about France that’s so special? I love France because it’s the only place in the world where you can smoke a cigarette in the longest cigarette holder imaginable—like honest-to-god, 2 or 3 feet long—and if a kid’s arm or forehead gets accidentally burned by it while they’re running past you, it’s legally the child’s fault every single time. It’s a special place.